The Kent County Agricultural Society’s, Scholarship Scheme Application will close on 5th May. The Higher Education scheme which was started last year, offers financial assistance to all students who are resident in Kent at the time of their application. Successful candidates will be eligible for up to £1,000 per year and for up to three years of study. Candidates need to be between the age of 18 and 25 when they commence study in the UK for a full-time college or university degree based course within the Land-based Sector. Whilst one of the criteria is that they reside in Kent before their course, the students can study anywhere in the UK to be eligible. Applications will be considered from a wide range of degree subjects including agriculture, horticulture, forestry, equine, veterinary and animal management.  Having completed the online application form, the shortlisted candidates will then be required to attend an interview with a panel from the Kent County Agricultural Society’s Charitable Activities Committee before the final decision is made. The Society awarded three grants last year to students who started university in September 2016. The first award went to Philippa Bradley who was starting the first year of a BSc (Hons) International Equine and Agricultural Business Management degree at the Royal Agricultural University. Philippa, who lived on a farm near Sandwich since the age of ten, impressed the interview panel when she explained her passion for horses. The second successful candidate in 2016 was Jacob Taylor from Maidstone, who secured a place on a BSc (Hons) Forest Management degree course at the University of Cumbria. The £1,000 award for 2016/2017 has been used to help fund his travel to and from Cumbria to Kent to enable him to continue his work with a number of local voluntary organisations. Zac Scott, the third successful candidate started a BSc (Hons) Agriculture at Harper Adams. Zac, originally from Tunbridge Wells hoped the course would act as the first step to working in farm management with a view to owning his own farm in the future. Zac has used the grant to help him to support his study, rather than having to find part time work. The Society will choose up to three candidates each year and students are able to use the funding towards tuition fees, accommodation, living expenses or equipment. Stuart Gibbons, Chairman of the Charitable Activities Committee, said “We are looking forward to selecting three additional students to join our successful candidates from last year. The Society has made a commitment to assist more young people coming into the industry and the scholarship scheme is just one of the ways we can promote excellence in farming”. Provided that the students’ academic performance is satisfactory the Kent County Agricultural Society will fund them for the duration of the course up to a maximum of three years. Students can apply online at http://kentshowground.co.uk/our-charitable-objectives/ for a September 2017 Scholarship. Applications need to be completed by 5th May 2017. Students will be shortlisted and interviewed by members of the Society’s Charitable Activities Committee in May. Students will be informed whether they have been successful by the end of June and will be invited to attend the Society’s showcase event, the Kent County Show in July.